Move over peanut butter and jelly, there's a new Vynl. duo in town and they are the absolute cutest. Wreck-It Ralph and Vanellope von Schweetz might give each other a tough time, but there's no denying that the talented racer has wormed herself into his heart. 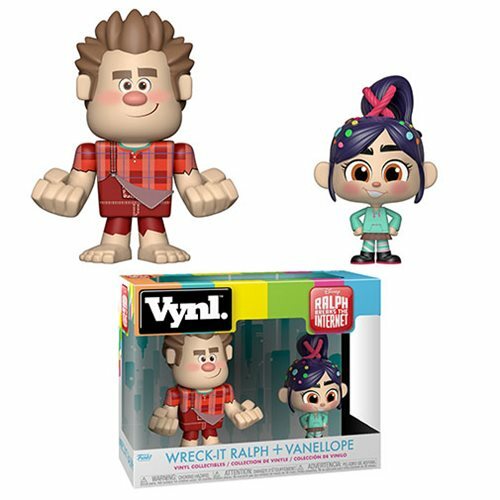 This Wreck-It Ralph 2 Ralph and Vanellope Vynl. Figure 2-Pack comes packaged in a window display box.